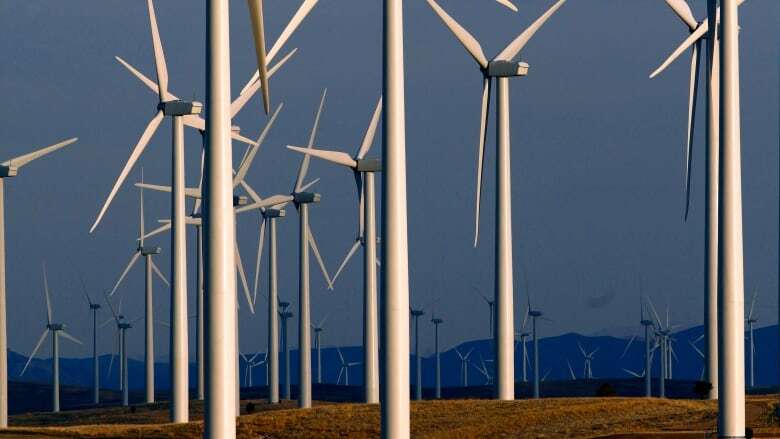 A proponent of wind energy is taking his frustrations with the government-owned power company to the provincial auditor. A proponent of wind energy is taking his frustrations with Saskatchewan's government-owned power company to the provincial auditor. James Glennie, president of SaskWind, is proposing a community-owned wind project near Swift Current. He says he has spent years trying to get an answer from SaskPower on his proposal. "We've invested a significant amount of time and effort in this project over four-and-a-half years," Glennie said. "We've got the site, things are moving along in Swift Current but we're just up against a brick wall with SaskPower." Glennie said he specifically applied through SaskPower's "unsolicited power proposal" (UPP) process because his would be the first community-owned wind project in North America. He said it would cost more up front, because capital would be raised through individual shares sold to thousands of community members. But Glennie said it would keep more money in the province in the long-term by returning profits to those Saskatchewan-based investors. Glennie said SaskPower encouraged him to submit a UPP, then told him it would not be appropriate to consider it outside the competitive process. Guy Bruce is vice-president of planning, environment and sustainable development at SaskPower. "For SaskPower, what we're really striving to do here is to provide power at the lowest possible cost and provide a reliable source of power," Bruce said. "You need to run a competition and you need to be fair to all of the people who might want to develop wind projects," he said. "We believe that that's the most economical way to get wind power." Glennie notes that SaskPower's criteria for unsolicited proposals specifies that they not be those which are being competitively bid on. He also notes that the provincial auditor, in a 2015 report, recommended SaskPower "use consistent processes to evaluate unsolicited proposals" which are provided to it. Glennie says he wants the auditor to know about his company's experience the next time she reviews SaskPower's process for assessing unsolicited independent power projects. Meanwhile, he says, in the four years since he first made his proposal — SaskPower has spent billions of dollars on non-renewable sources of power, such as clean coal and natural gas. "Over the same period of time there's been 24 megawatts or $50 million of new wind. I mean the amount of investment in wind, given that total of $3 billion is only, just over one per cent of the total," Glennie said. "It's peanuts." SaskPower says it is currently accepting proposals for solar power and will begin soliciting wind proposals by the end of the year. It says Glennie is welcome to submit his project then. SaskPower has promised to get half its power from renewable energy, such as wind, by 2030.